This workshop is designed for couples who have either done the Hold Me Tight® Program or worked with a therapist using the Emotionally Focused Therapy (EFT) model and have some familiarity with their cycle of relationship distress. All conversations will take place between partners with assistance form our highly qualified roving therapists as needed. In a weekend format, this couples workshop serves as a relationship retreat. Homework will be given on Saturday night, so it is optimal for couples to plan to spend time together without distractions. 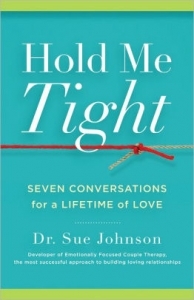 The Hold Me Tight workshop gave me a deeper understanding into my fears and negative outlooks in my marriage. I am leaving the workshop with a hopeful attitude towards my husband and marriage.